But having no additional features is a disappointment. At the same time you cant deny the fact that its attractive. Rockstarts can use this during their show. 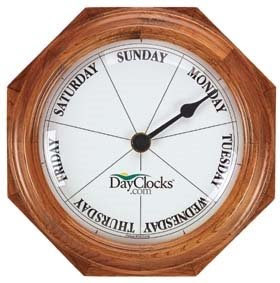 All we think about a clock is one with two hands pointing at some time. But this is something different. Its a day clock where the hand points to the day of the week. Sweet!! This is for all who often forget which day of the week we are in. I think I deserve one! I found this weirdest of all. For all who are so much scared tat u doubt the sizzling of leaves in wind to be due to some ghost,this ghost detector can help you out. Press a button on the Ghost radar and pray that it shoud turn blue. Coz that means you are in no danger. 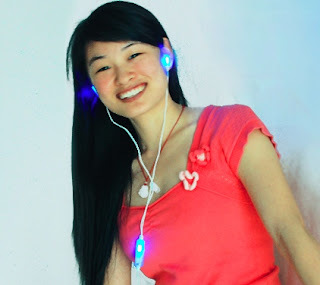 And if turns red, I think you should get ready to communicate with the ghost. This comes as a feature in cellphone which makes it less complicated to carry it around. 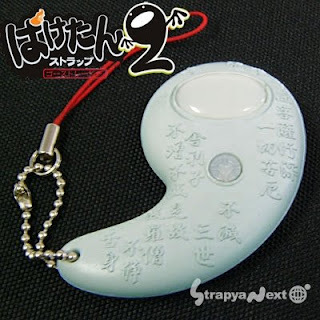 And guess wat the product is from Japan which is known to have too many haunted places. 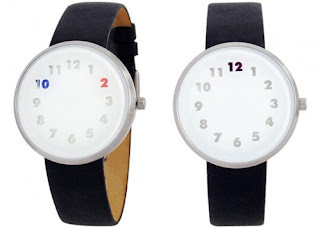 Heres a new watch which tells time with colors. Blue color represents hour and red represents minutes.It is the color that travells around the clock and changes the numbers to the appropriate shade. And the question arises would be what happens when the hour and minute tends to come at the same point say 12 o'clock or 3.15. Well the color changes to purple at this point of time. "Interesting Hands" .. weird? i'll have to agree!